Most people see Tanzania’s northern city of Arusha as nothing more than the entrance to the northern corridor safari circuit, while others see it as the gateway to climbing Mount Kilimanjaro. However, this magnificent East African city packs a lot more than that and shouldn’t just be dismissed as a tourist enclave, as beneath its dusty exterior, you’re likely to find plenty of reasons to explore the city. One of its most significant tourist attractions is the Maasai Market, located just beneath the huge clock in the centre of the town. The Arusha Maasai market is a modern display of traditional people’s culture. 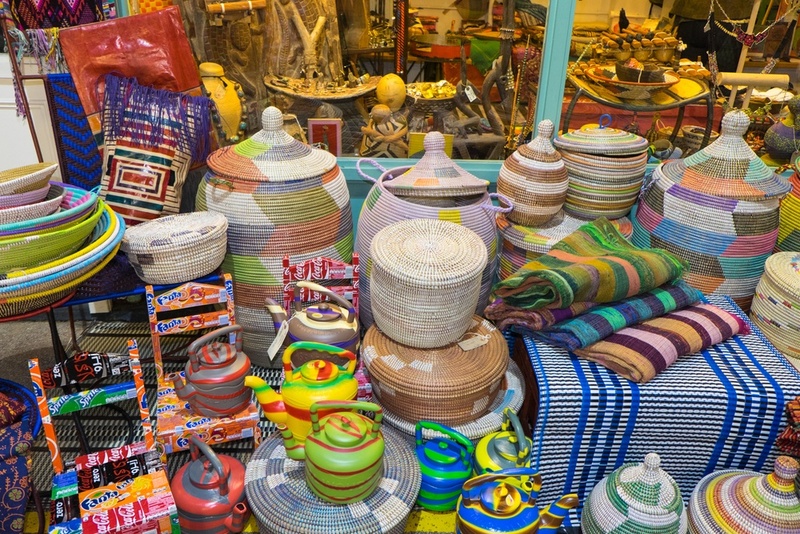 It sells original African artefacts and has become a melting point for various tradespeople who might not be Maasai by ethnicity, including tourists, in search of genuine African souvenirs. What started as a tiny enterprise weaving beaded necklaces has grown into souvenirs, paper products, clothing, furniture, and other products, mostly made from recycled materials and made by small entrepreneurs around the city villages. 1. Try to be specific on quality. Avoid buying items whose finishing is not done correctly. Instead look for a vendor who has perfected the item quality. Check out for wall hangings, kitchenware, and ornaments. 2. Haggle until you run out of breath. Most Tanzanians have perfected the art of haggling. Be the typical Tanzanian even if you don’t come from Tanzania. You may feel bad about haggling but it is really an art, watch local Tanzanian haggle and learn from them. 4. Tour the Market first quietly, before settling on what to buy. As you walk, pick out the artisan who appears more creative in his use of colours, technique and originality. 5. Understand buying terms properly. The terms of purchase will determine if you’ll be given the cost in USD or using the dollar as the exchange rate. 6. If you’re a foreigner, avoid getting shown around by the many hangers-on and traders found inside the market. This is because many hangers-on purporting to show you around will engage you in small talk to con you.